Got a case of the ickies? Feeling a little or All OFF balance? Just need to regulate your body back to normal, then these are the options for you! We bring in the purest and highest quality salts from all over the world and infuse them with specialty ingredients, herbal blends, essential oils, and clays. Our salts are packed with detoxifying elements, pure teas, fine herbs and honey, all to give you the bath of a life time. Herbal Detox: clays and pure green teas, coupled with the POWER of authentic Dead Sea Salts you will sure to quickly come back to yourself. A proprietary therapeutic oil blend is blended in to lift your spirits as well. Therapy: the "Magic" of Salt Soaks. A perfected blend of all of our salt fusions blended together. This is one of my favorite thing to buy on each visit to The Bubble Bistro! I absolutely adore this product. Using the bath salts in a hot bath is so invigorating-the smell is so fragrant and enchanting! My skin feels super soft when I get out the tub! I’ve also brought other bath salts and all smell heavenly and leave your skin and body feel great! Totally recommend this product! Tranquil it is. The scent is lovely it even softens the water & gives it a nice little blue hue. I hope you guys bring back Therapy as well. This "Pamper Me" salt is the only pure & non-medicated cure for menstrual discomfort. Using just 1 scoop in your bath is more than enough. Within 1 hour of bathing in this luxe salt, I experienced less bloating, back pain, & cramps. NO MORE MIDOL!!!! OMG! Amazing!!!! The bath salts are EVERYTHING! This product not only relaxes sore muscles but leaves your skin smooth, soft and fragrant! One of my favorite products!!!!! Do yourself a favor and get you a bag and indulge!!!! My ultimate favorite is pamper me...just amazing!!! The lemon uplift bath salt is the perfect cure for small cuts and wounds! I recently cut my finger and didn't have any alcohol, ointment, or peroxide on hand. So I just quickly washed the cut with bubble bistro soap & cold water. Then I ran my bath, put two scoops of the lemon uplift salt in the water & took my daily bath. After bathing, I noticed the cut had closed up and wasn't painful anymore! This bath salt will surely work for kids that may be accident prone to frequent skin scrapes/abrasions! Since I've been introduced to the bubble bistro brand, I've fallen in love with all the products they have to offer. I'm an otr driver and my shower and sometimes baths are sacared to me. With the bath salts and bath booms they have my skin feeling soft and smelling sweet! Never been a big fan of bath salts...til I tried the bubble bistro. They help me relax and go to sleep...now I want the ALL in my stash!!! Having received mini salt soak samples in the Cherry Pop Box, I thought I knew what was in store. This was better than I anticipated. This was amaze balls! Do yourself a favor and buy the full size product; you're welcome. My bath was teeming with delicate mini rose petals, mini rose buds, and delightful scents. So glad I tried it. I need to invest in this company's stock! I have yet to try a product from The Bubble Bistro that I didn't like. I received a sample of this in my Cherry Pop box and I wish I had more. The fragrance is a combination of rose petal and two other scents I have smelled before but for some reason I can't place - I will say that it triggers childhood memories from summers in Virginia with my paternal grandparents. I love this product! The fragrance is so relaxing and soothing and the pains in my left knee were gone by the time I got out of the bath tub! I will be purchasing the full size! I want to try the tranquil and the healing oatmeal! I like the bath salt. My favorite of the Bath Salts! This body detox salt is beyond words. As soon as you relax in the tub, it instantly calms you. When you finish bathing (I use cocktail soap w/the detox salt), expect to feel super clean & like the worries of the world do not exsist! You will get the best sleep you have had in years after one bath of this detox salt!....GUARANTEED! One of the best products to make a person feellime the world has been lifted off the shoulders. Refreshing, clean, and ready to go tackly the world. Melts away the yuckies. We put so much into our bodies whether it is from the food we eat, the air we breathe, or even the things you put on your skin (unless it is from The Bubble Bistro) that we need to release those toxins some how and this is the best way to do it. Forget Epson Salt and rubbing alcohol, this Body Detox will release all aches and soreness from your body. After a good soak, you will feel like a new person. This is by far one of the best products! If your feeling... SICK, BODY ACHES & PAINS, this is the product for you. Sometimes the body just needs a DETOX! Herbal Detox is a life saver! I suffer from health problems that cause me a lot of pain, and HD helps ease it away and my skin comes out smooth and soft while smelling great! Even if you have just worked out too hard or too much at the office, Herbal Detox works it's magic! Hello to all. I am a new client to Bubble Bistro and I've been dealing with, for two months now, swelling of my lower extremities. I have yet to get an exact diagnoses. His theory is incompetent veins. My toes, ankles, feet, legs and up to my knees gets completely swollen to where i cant fit my socks and especially not my shoes. My medicine wasnt giving me the relief I needed so i decided to put my swollen limbs in the tub with the detox. I sat there for an hour and completely relaxed. I immediately felt a difference. The tightness was gone with minimal swelling. I tried it just to see if I would be able to put on a pair of socks and to my amazement, I WAS!!! SO I HIGHLY RECOMMEND THE BATH DETOX TO ANY AND EVERYONE. 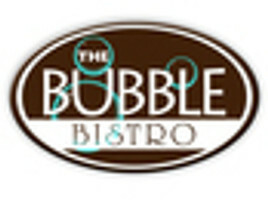 I WILL EVEN TAKE IT TO MY NEXT DR APPT AND RECOMMEND IT TO THEM TO RECOMMEND IT TO THE OTHER PATIENTS....LETS GET THIS WORD OUT PEOPLE ABOUT BUBBLE BISTRO! THANKS FOR EVERYTHING! !